After having pain in my old c-section scar had me doubled over, I had to call my doctor to see if I needed to be seen today or not. Of course I was told to come into the office, so I went. My BP was 175/ 82, so I was immediately sent to L&D, where I went through the usual routine. 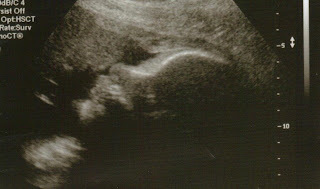 But this time they did a full ultrasound to ensure that everything was okay. It was. My BP normalized, and the pain was deemed to be the result of scar tissue and adhesions in there. Zachary is measuring, at his current gestational age of 31 weeks, at 5 pounds, 4 ounces. 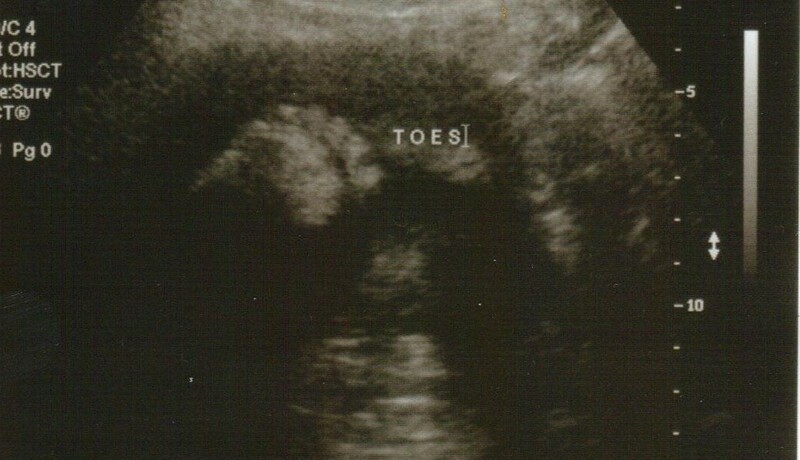 His gestational age calculated by the ultrasound: 35 weeks, 1 day. Still huge. 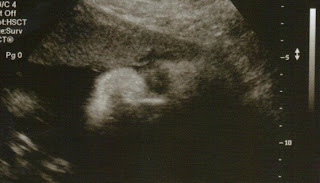 We got some awesome pictures of him, though, and even got to see him yawn. J had gone to pick E up from school, so he got to be there to see his baby brother on the screen for the first time, instead of just looking at grainy pictures. He saw it all, the yawning, squirming precious baby boy, complete with the little heart beating away. A wonderful experience for him. 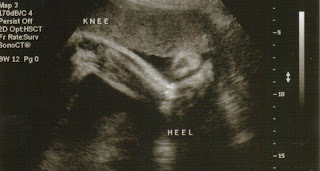 A perfect little leg, from thigh to toes. Angel face. We can see he looks like his brother. This one required some explanation. The ultrasound tech gasped, "Look at all of that HAIR!" 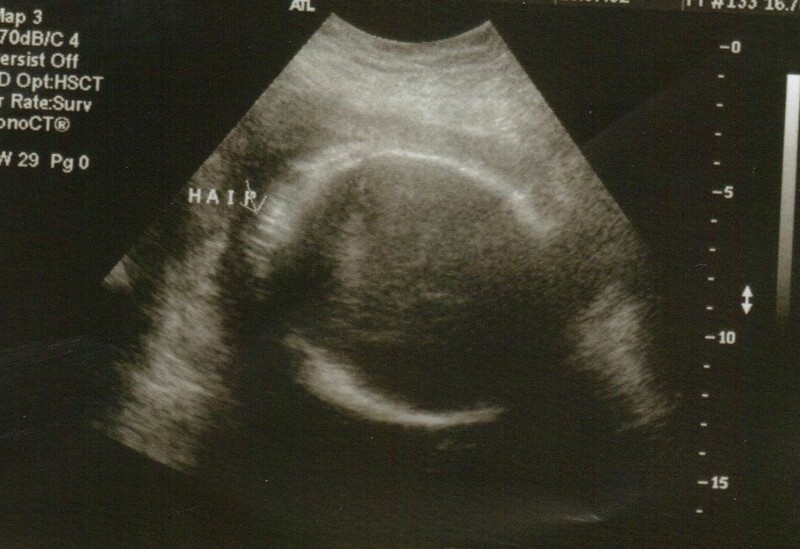 Apparently the white halo-like shadow around the top of his head is his hair, lilting in amniotic fluid, and he already has a head full! This blog is seem to very nice keep sharing information about Brethine.